Film Plot: A hit man is hired to kill a mob boss. After the deed is done, he and his driver are wanted dead by rival gangs who joined forces. Grade: C7-C8	Fine to Very Fine. Folded, single-sided. 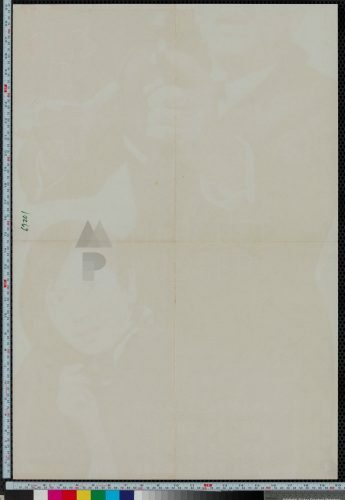 Top C7-C8: Unused poster with very minimal handling/edge/fold wear. Would grade higher if not for slight misfold along center horizontal fold. 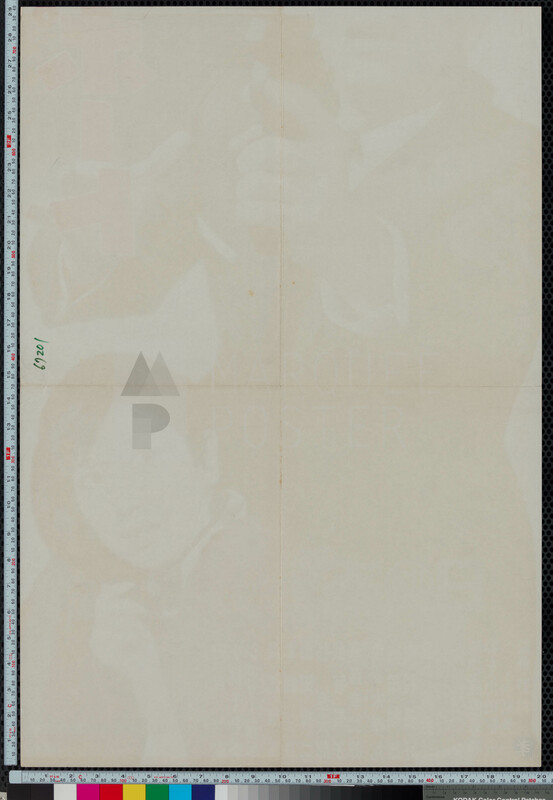 Bottom C7-C8: Unused poster with very minimal handling/edge/fold wear. Would grade higher if not for slight misfold along center horizontal fold. 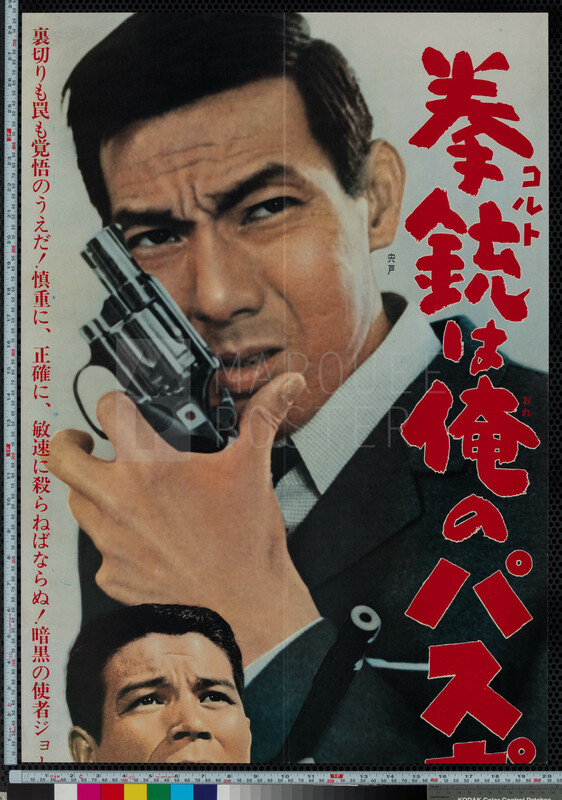 A Colt is My Passport was made in the heyday of 1960s era Yakuza films. 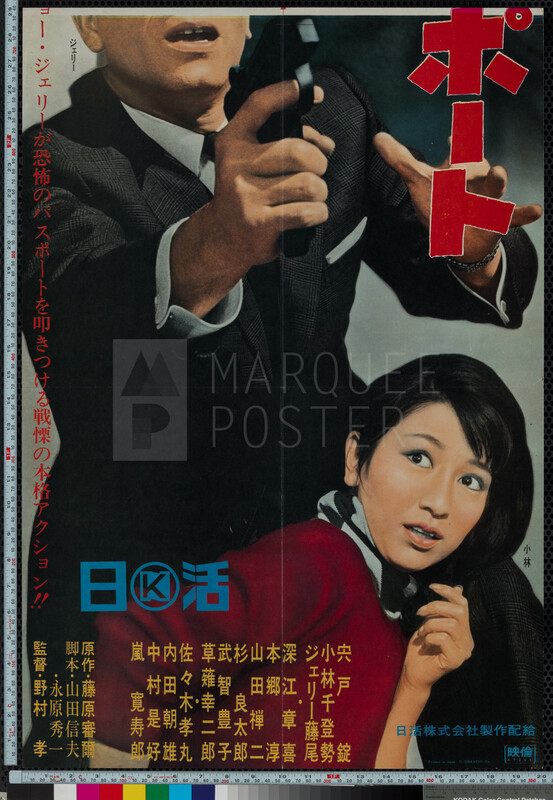 Despite being considered B-films at the time of their release, A Colt is my Passport and its contemporaries like Tokyo Drifter and Branded to Kill were at the forefront of the Japanese New Wave movement. Part gangster film, part spaghetti western, part film noir, and all Tokyo Pop — they electrified the screen and attracted huge audiences. They were also very innovative and influenced legions of directors like Quentin Tarantino and Jim Jarmusch ever since. 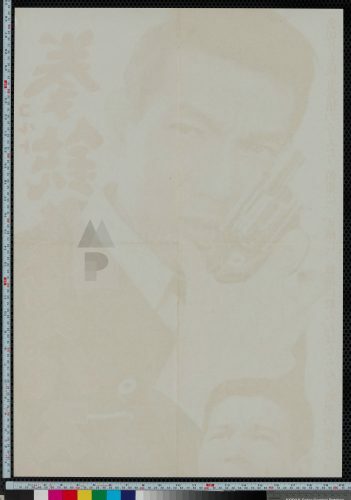 A Colt is My Passport was the star’s, Joe Shishido, favorite film — this is saying a lot for someone who made over 170 films during his time working for Nikkatsu! This nearly 5′ tall Japanese poster features wonderful portraits of Joe Shishido and his partner in crime, Jerry Fujio. Both are armed to the teeth — Joe with the titular Colt Cobra .38 special and Jerry with what looks to be a silenced Beretta 70. 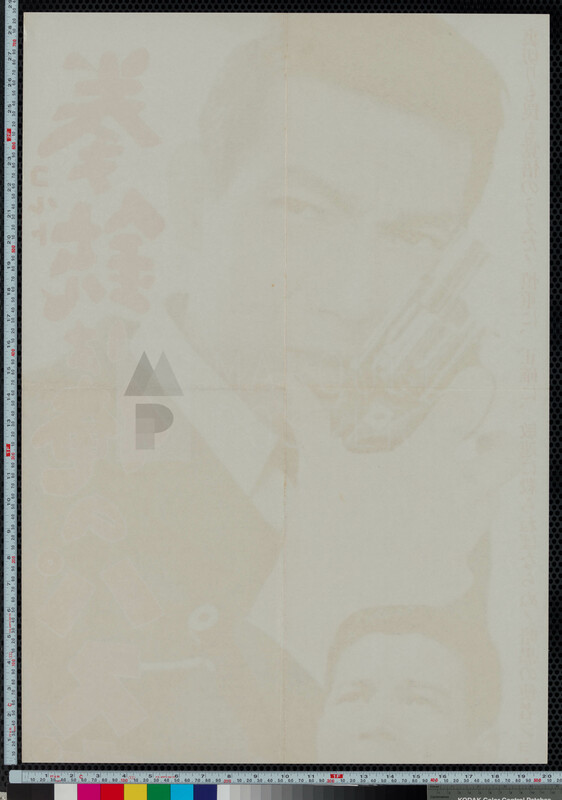 This tall, slender format had very low print numbers compared to regular Japanese B2s. They are very rare, especially for more popular film titles, and are highly sought after by collectors today.